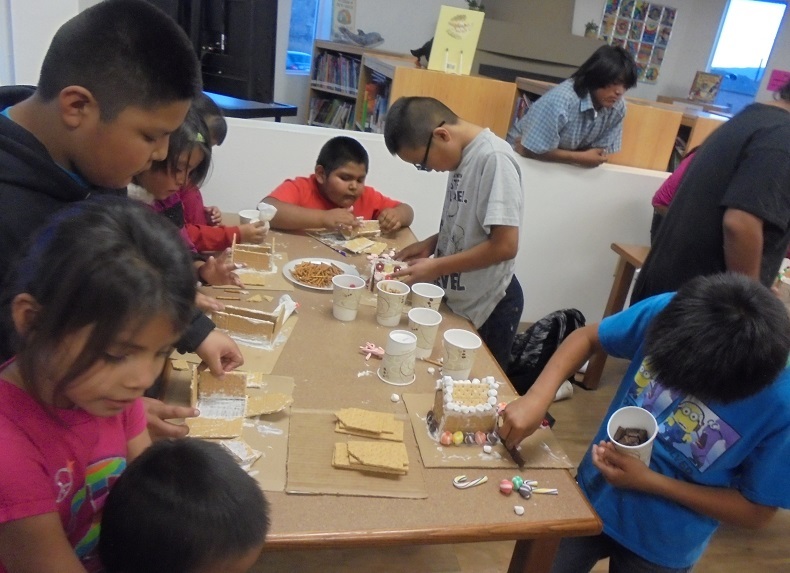 The Pueblo of San Felipe Community Library hosted 2-days of creative construction where community members could stop by in the afternoon and build their very own gingerbread house. Students of all ages, some with their families and some who came on their own straight from school, were engaged in building festive gingerbread houses with various edible materials provided by the library. Students used their imaginations to create winter landscapes with pretzel gates, icing snow, and some with corralled pretzel horses and sheep. 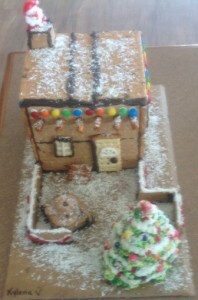 Once completed the students were offered the opportunity to have their gingerbread house creation entered into the Indian Pueblo Cultural Center’s Annual Pueblo Gingerbread House Contest. 8 students entered the contest and were vying for cash prizes in the adult and child categories. We were elated to hear that Kylena Valencia a third grade student, having beat out a wealth of competition, won 2nd place in the children’s category. We are very proud of all our students who entered the contest and are looking forward to hosting another gingerbread house making activity next year.